No matter what region of the United States a home is located, excess moisture within the residence leads to significant household issues. The chilly and damp Northeast stimulates moisture buildup within a building’s interior. Homes in the South experience a hot and wet climate—a natural recipe for moisture problems. The hot and dry Southwest spurs the growth of biological contaminants. Residences along the Western Mountain regions are in the wake of cold and dry temps, with the cooler air leading to condensation. Controlling moisture is an ongoing responsibility for homeowners in the US. 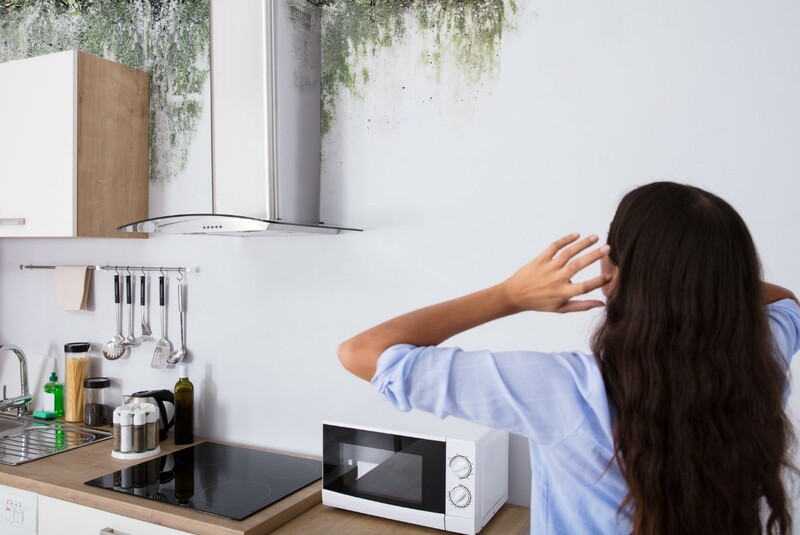 Homeowners can expect costly repairs to resolve moisture issues, like mold growth, damage to structural elements, pest infestation and extensive water damage. Frequently inspecting the home and controlling the moisture content reduces the pricey fixes associated with indoor water seepage. Frequently inspecting the home and controlling the moisture content reduces the pricey fixes associated with indoor water seepage. New homes that are built with materials, such as wood and insulation, that have a high moisture content during the construction process will harbor mold and bacteria. Flat roofs are more likely to be a source of water damage from rain and snow when compared to residential sloped roofs. Properties with grounds that slope toward the foundation are likely to pool water around the perimeter, leading to potential water damage in the interior of the home. Condensation builds up indoors when water vapor meets cold surfaces, like water pipes, inside windows and cold air ducts. Humidity levels that surpass 60 percent are likely to encourage mold growth. Humidity should be maintained at between 30 percent and 50 percent indoors. Attic spaces in homes should be well ventilated. Inadequate ventilation in the attic causes moisture to seep through ceilings in the home, leading to the flourishing of mold and significant water damage. Leaking refrigerators and freezers will cause moisture issues if not repaired immediately. Cracks inside the home pose as a major water problem. Moisture leaks through the cracks and invades the inside of the building. Examples of causes of cracks include incorrectly installed windows or doors, the addition of insulation after the home is built or cracks in the home’s foundation itself. Immediately repair leaks, whether the seepage is due to an improperly installed toilet, faulty water pipes or water entering into the interior from the exterior of the home. Bacteria thrives in water-laden areas. Prevent contaminants from growing inside your home by promptly fixing any leakages. Dirt crawl spaces should be covered with a plastic sheet or tarp to prevent moisture from moving upward from the ground. A well-ventilated crawl space is ideal for stopping moisture issues. Ventilation is critical when showering and cooking. Water vapors in the bathrooms and kitchen can be optimally controlled with the use of exhaust fans. These fans should vent to the outside and not to the attic. Dryers should also be vented toward the outside. Caulking around the bathroom tub or shower should be regularly inspected to ensure cracks are not present. Plumbing leaks should be addressed immediately. 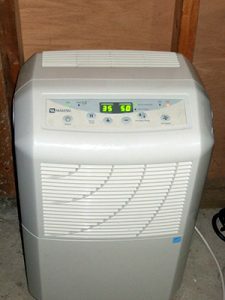 Dehumidifiers offer protection against indoor dampness. Air conditioners, especially when used in hot conditions, serve as effective moisture repellants. Dehumidifiers also offer protection against indoor dampness. Adequate air circulation inside the home is important to repel moisture. Optimum circulation can be achieved with the use of fans, opening doors and windows, and by allowing fresh air to circulate within the home as often as possible. Carpeting along concrete floors can harbor moisture. You can prevent a potential moisture issue by covering the concrete flooring with a plastic sheet or vapor barrier. Add subflooring over the vapor barrier to thwart any potential moisture problems. Chimneys in a home feature high humidity levels. Moisture problems can be spurred by blockages in the chimney. Periodically check for debris inside the chimney or for any part of the chimney that has collapsed. A regular chimney sweep is advised to prevent hidden issues related to moisture. The gutters and downspouts along the property’s roof should be kept free from debris. An unobstructed path is essential for gutters to allow proper drainage, prevent backups and propel water away from the property. Soil around the home should slope away from the building. Flashing the soil along the perimeter of the home’s foundation protects the home from wetness. Homeowners can engage in a do-it-yourself project by digging around the foundation approximately 16 inches deep and 3 feet out. Place rubber flashing along the dug-out area and refill with soil. When water seeps inside the home, immediate action is critical. Water quickly damages porous building materials, leading to weakened structures and inevitable mold growth. A call to a water damage restoration service, such as ServiceMaster by Restoration Complete, will swiftly contain the damage. Our specialists will arrive at your home within one to two hours of your call. An optimal restoration plan is developed onsite to quickly return your home to its pre-damaged state. Our technicians at ServiceMaster by Restoration Complete use advanced water extraction equipment to thoroughly dry out the property and its contents. Powerful dehumidifiers and air movers remove all excess moisture from the air and affected materials. Since dangerous bacteria lurks in standing water, our team cleans and sanitizes the premises to ensure the home is safe to inhabit once again. Water damage is considered an emergency issue. 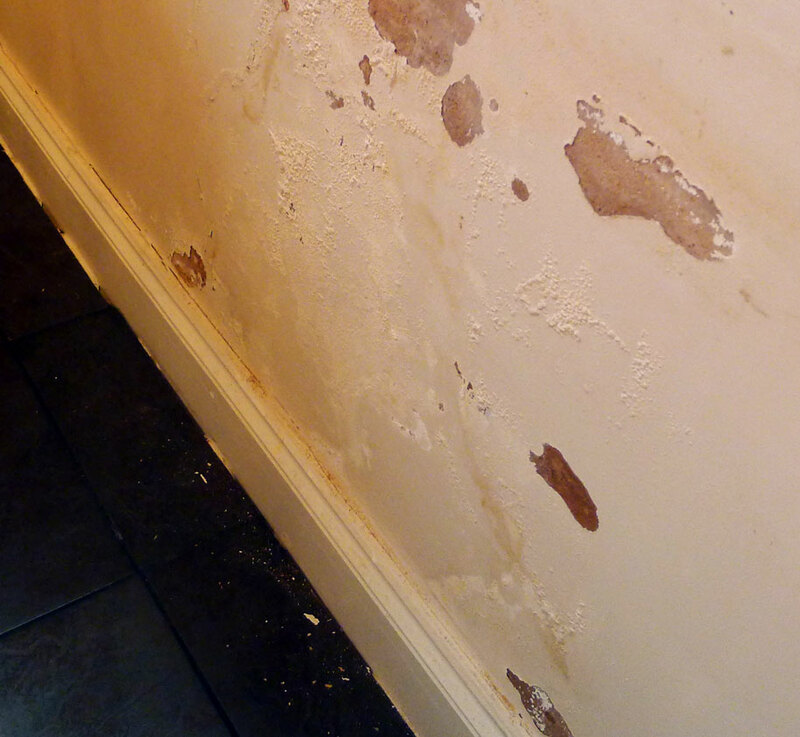 The health and environmental risks associated with water damage are high. Infections and allergies result from mold, and mold growth is triggered by excess moisture. Building materials saturated with moisture become warped. Moisture control is of chief importance to homeowners. 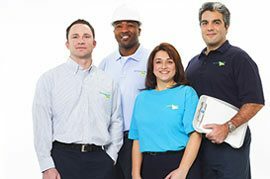 When any level of water damage infests your home, call ServiceMaster by Restoration Complete, the most trusted water damage restoration professionals in Franklin Township, NJ.